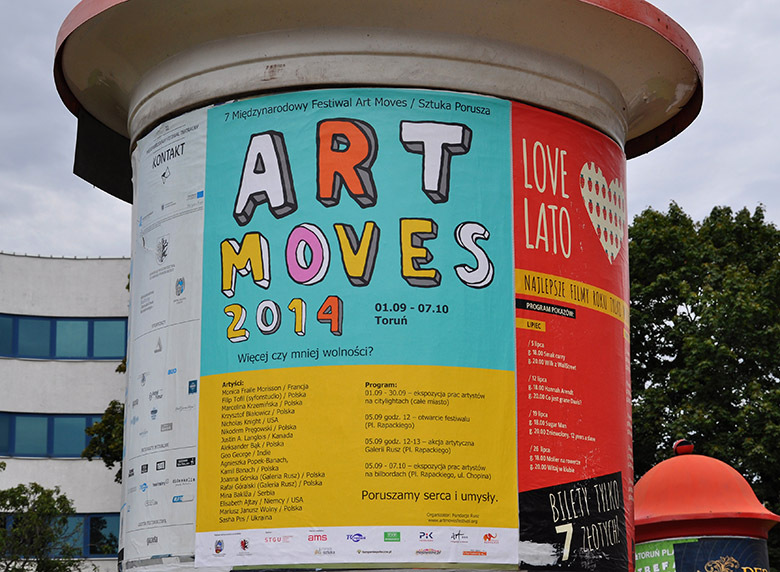 The only billboard art festival in the world – the Art Moves Festival – was held in Toruń for the seventh time. This year’s festival motto was “More or Less Freedom?” The theme of freedom was ubiquitous – we celebrated the 25th anniversary of the first free elections, the 70th anniversary of the Warsaw Uprising, the 75th anniversary of the outbreak of World War II and the 100th anniversary of the outbreak of World War I. Moreover, the situation in Russia and Ukraine also brings the issue of freedom to the fore. The theme of freedom and its limits is a fascinating area that allows artists to show their talents. A multi-faceted picture of freedom we can experience in contemporary global society is emerging from the works presented during the Festival. Freedom is a paradoxical word. This is one of the fundamental ideas that drive individual and social life. In the history of mankind, great and wonderful, but also tragic things happened in the name of freedom. Paradoxically, freedom is most easily defined and appreciated when one tastes its lack (e.g. in a totalitarian state). When we have it, we do not notice it and it rapidly loses its real value – we take it for granted. So, what is freedom then? Is freedom essential to life? Should it be unlimited or have some limits? Can other people limit our freedom – because they also have a right to feel free? Is freedom responsibility or rather doing what one feels like doing? 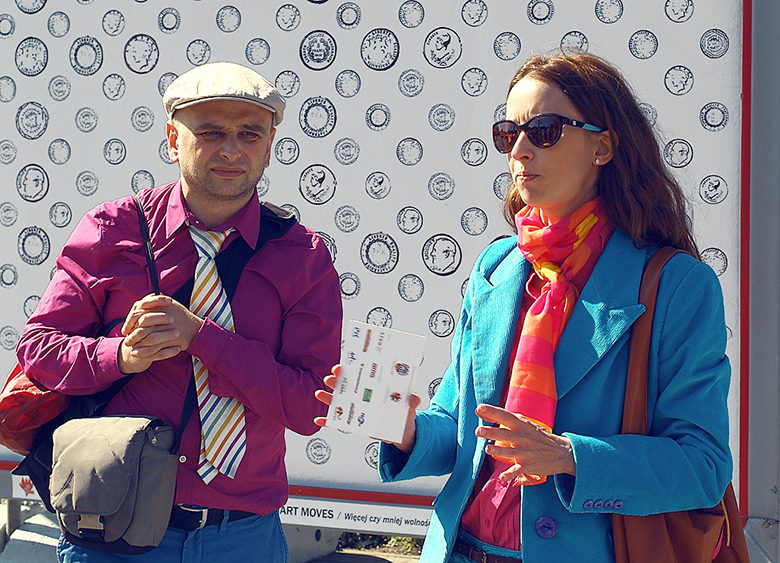 The Festival is created by the artists, Joanna Górska and Rafał Góralski, from the Rusz Gallery. This year, they celebrated the 15th anniversary of their artistic activity. They move both hearts and minds. They concentrate on what is important. On what concerns a contemporary person and the contemporary world. They show art in the city by means of advertising media. In the contemporary world, where everything is very fast, superficial and temporary, we need to stop for a while to contemplate and think. Therefore, artists fill the space of the city with “thinking” art for thinking people. If we do not think for ourselves, others will think for us! The world has caught up with Toruń and billboards are more and more often used to present art – in 2013 and 2014, in Great Britain, two vast exhibitions entitled “arteverywhere” took place, whereas this year a similar event is held in the USA. 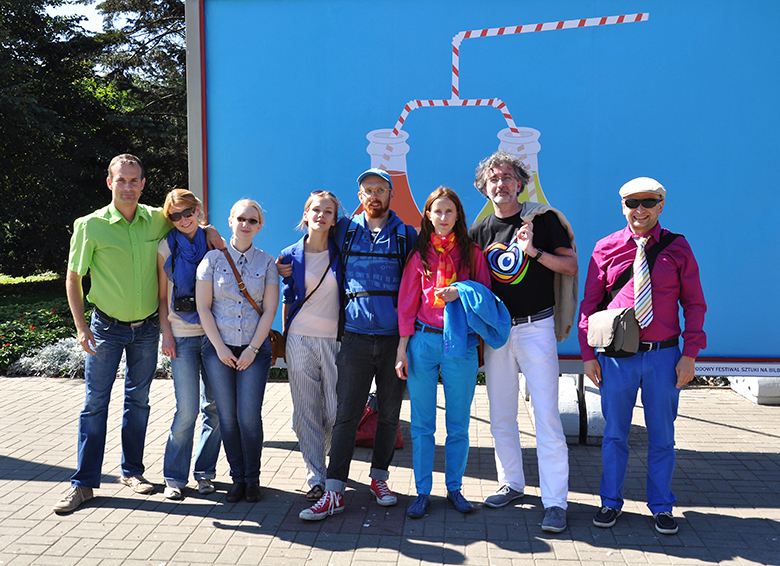 10 best competition works was displayed on billboards placed, as usually, on Pl. Rapackiego (Rapacki Square) and along ul. Chopina (Chopin Street). The Festival’s novelty was the display of the works on citylights. 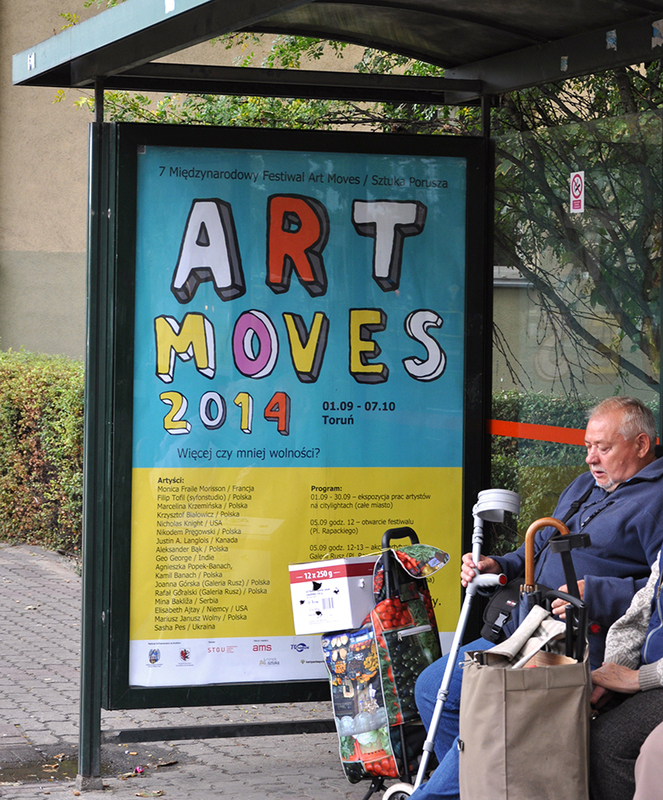 We displayed 10 works on citylights placed at the bus stops in various districts of Toruń. This way, we engaged all the city into the Festival space of art. On the occasion of its 15th anniversary, the Rusz Gallery has prepared a series of works devoted to freedom, that was also be displayed on citylights. The official opening ceremony of the festival took place on September 5, at 12 pm on Rapacki Square, Toruń, Poland. 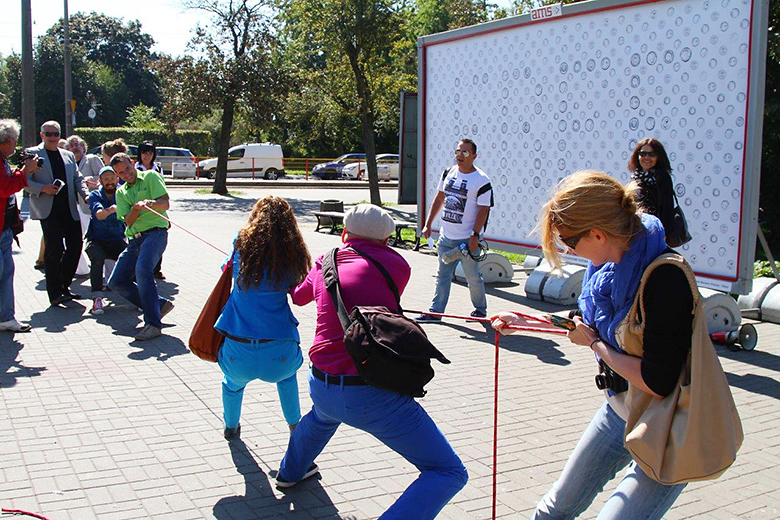 The art works on Rapacki Square and Chopin Street was displayed on AMS SA billboards.